Response: Cancer is a genetic disease caused by a small number of “driver mutations” in the cancer genome that drive disease initiation and progression. To understand such mechanism, there are increasing community efforts in interrogating cancer genomes, transcriptomes and proteomes by high-throughput technologies, generating huge amounts of data. For example, The Cancer Genome Atlas (TCGA) project has already made public 2.5 petabytes of data describing tumor and normal tissues from more than 11,000 patients. We were interested in using such publicly available genomics data to predict cancer driver genes/variants for individual patients, and design an “electronic brain” called iCAGES that learns from such information to provide personalized cancer diagnosis and treatment. iCAGES is composed of three consecutive layers, to infer driver variants, driver genes and drug treatment, respectively. Unlike most other existing tools that infer driver genes from a cohort of patients with similar cancer, iCAGES attempts to predict drivers for individual patient based on his/her genomic profile. What we have found is that iCAGES outperforms other tools in identifying driver variants and driver genes for individual patients. More importantly, a retrospective analysis on TCGA data shows that iCAGES predicts whether patients respond to drug treatment and predicts long-term survival. For example, we analyzed two groups of patients and found that using iCAGES recommend drugs can increase patients’ survival probability by 66%. These results suggest that whole-genome information, together with transcriptome and proteome information, may benefit patients in getting optimal and precise treatment. Response: Our study showed that by integrating multiple sources of information, including prior biological knowledge and patient-specific whole-genome information, we can improve the ability to accurately nominate cancer drivers and recommend personalized cancer therapy. Therefore, whole-genome data, perhaps together with transcriptome and proteome data, is preferable over simple candidate gene panels with dozens of genes, in clinical applications of precision oncology. Response: The next challenge is to integrate the highly complex and correlated molecular data from these aforementioned large-scale sequencing projects to future improve our understanding of cancer initiation and progression. We will need to include genome data, transcriptome data, copy number data, proteome data, as well as patient-specific information such as tumor characteristics, medical history and treatment history, in more sophisticated machine-learning models, to better understand the molecular profile for each patient and help guide treatment decisions. This is a future research direction that we are pursuing right now. Response: One thing we want to emphasize is that iCAGES is currently a research tool that showed promises in helping human experts select treatment strategies, through retrospective analysis of historical data. More extensive and rigorous tests are necessary to evaluate whether it improves patient outcome in a prospective manner. 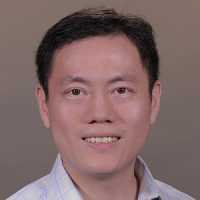 In terms of disclosures, Dr. Wang was previously a board member and shareholder in Tute Genomics, a bioinformatics software company. The remaining authors declare that they have no competing interests. This entry was posted in Author Interviews, Cancer Research, Columbia, Genetic Research, Personalized Medicine and tagged artificial intelligence, cancer, genetics by Marie Benz MD FAAD. Bookmark the permalink.